Child custody battles tend to become heated and contentious. Emotions run high, parents often drag each other through the mud, and it’s generally a harrowing experience. This all makes sense: we love our kids and want them to be part of our lives. But what do you need to know about actual child custody hearings? What should you expect to hear and what kind of questions will you have to answer? TV and movies paint a certain picture of what child custody disputes look like. And surprise, surprise, not all of the depictions are entirely accurate. Like most family law cases, there’s no universal roadmap for child custody hearings. If there was, things would be much easier. But you can’t simply walk in, have your say, and walk out with an easily anticipated result. Preparation is key. If you’ve hired a child custody lawyer, he or she should be able to help you get ready. Still, it’s good to know what you’re getting into before you set foot in a courtroom. With that in mind, here are some things you need to know about what to expect from child custody hearings. When it comes to determining custody and establishing a parenting plan, the court weighs many factors. The overarching question that eclipses everything else is what’s in the child’s best interest? To determine this, the court evaluates a number of different angles. How much influence each has varies from one case to the next. Judges look at the strength of the relationship between the child and each parent and examine the child’s needs. The age of the child often has a part. Stability plays an integral role—for instance, if switching schools, especially in the middle of a school year, can be avoided, it often will. Each parent’s ability to care for the child, both physically and emotionally, factor in, as well as their willingness to co-parent. Any history or evidence of domestic violence or abuse also influences the ultimate decision. What Type of Parenting Plan Do You Want? There are many potential custody arrangements. You may want your child to live with you full time. Weekend visitation is a common arrangement. In cases when parents live far apart, splitting holidays and significant school breaks often form key pieces of the parenting plan. 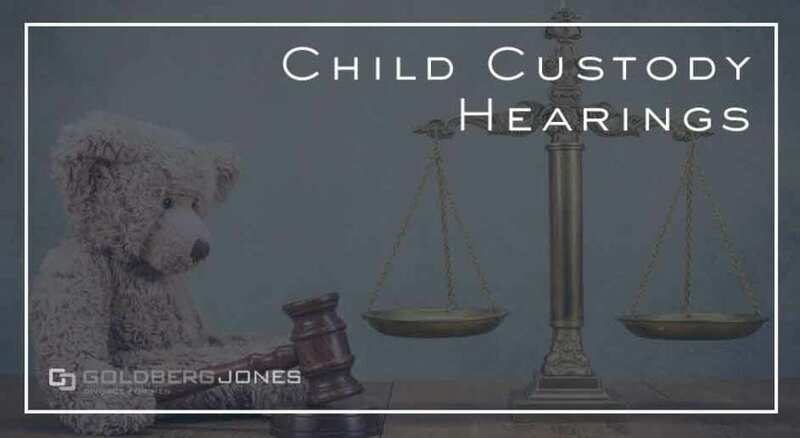 It’s important to consider what you want out of a child custody hearing ahead of time so you know how to answer these questions. How’s Your Relationship with Your Ex? In some cases, exes can go their separate ways after divorce and never see each other again. When you have kids, however, that’s not usually an option. The court most often views having both parents in a child’s life as in their best interest. That means there will be at least some amount of contact between you. You need to be able to communicate on a functional level at a minimum, and a judge will likely ask if that’s possible. Who’s Been Caring For The Child? Do you and your ex have a current parenting plan in place, either formal or informal? If one parent has been the primary caregiver, it can influence the court’s decision. If a certain custody arrangement appears to work, they may hesitate to interfere or alter the situation. You will most likely have to field many other questions during child custody hearings. Expect to have every area of your life and relationships probed. You may have to show evidence of your parenting ability or provide witnesses who can testify to the nature of your relationship with your children. There’s the perception that mothers have the upper hand when it comes to child custody hearings. While that may have been the case in years past, it isn’t anymore, at least not legally. That’s not to say it always plays out on an even field, or that an individual judge won’t have a bias one way or another. But in a strict letter-of-the-law sense, fathers and mothers have the same claims to custody in Washington state. Increasingly, courts recognize the importance of having both parents in a child’s life whenever possible. Unless there are extenuating circumstances—for instance, issues with abuse or neglect—parenting plans will likely shake out in this fashion. How it balances out, however, depends a great deal on the specifics of individual cases. As with most family law matters, child custody hearings often become complicated. You may want to consider hiring an attorney. Having an experienced professional in your corner can help your case immensely. A lawyer can help guide you through a tricky process, prepare you for your day in court, and let you know what to expect. It’s often the difference between getting what you want, and what’s best for your kids, and missing out. Hi, could you pls contact me by email and let me know your contact number. I have some questions that would like to consult on. I tried called all the numbers shown on the website but can’t get thru. Thanks for reaching out. Sorry there were problems with the phones. I passed your contact along to our managing attorney, Ken Alan, and he will reach out to you shortly. In the meantime, if you need to contact us, our Seattle office number is (206) 448-1010. There’s usually someone there to answer between 8:30 AM and 5:00 PM.